Rabbi at Algiers; died at Blida, Algeria, January, 1794. At an early age he assisted his father in his duties as rabbi of Algiers; and at the death of the latter succeeded him. 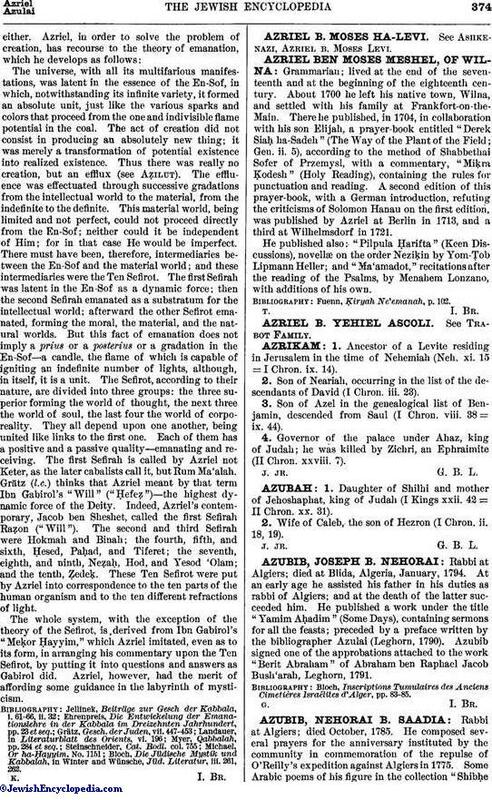 He published a work under the title "Yamim Aḥadim" (Some Days), containing sermons for all the feasts; preceded by a preface written by the bibliographer Azulai (Leghorn, 1790). Azubib signed one of the approbations attached to the work "Berit Abraham" of Abraham ben Raphael Jacob Bush'arah, Leghorn, 1791. Bloch, Inscriptions Tumulaires des Anciens Cimetières lsraélites d'Alger, pp. 83-85.